Microsoft offers the most complete solution for businesses looking for sharing, storing and syncing of data and it is called OneDrive for Business. While each of the above Solution has its pros and cons, one huge factor in favor of One Drive for Business is that in terms of syncing of Office documents like Word, Excel, PowerPoint, One Note, the sync is delta meaning that only the changes get synced. So, for a 20 MB file, if the change is 10 KB, only 10 KB will get synced. This is not handled well by the other vendor. Microsoft is able to handle this well since it is also the author of MS Office and hence knows the product better than others. OneDrive is your Personal Cloud which can be used to store your documents, pictures, videos, songs. OneDrive for Business on the other hand is your Professional Cloud. And it is primarily to store your documents since in our professional work, we mainly work with documents. The document storage in OneDrive is simple storage without any version control. The documents in OneDrive for Business have built in capability of version control. OneDrive Cloud is hosted as a free service on Microsoft Servers. OneDrive for Business on the other hand, is hosted on SharePoint, as a part of Office365 Cloud Service. So, it is essentially a part of your Company Intranet. You can add ratings feature to your OneDrive for Business document library. This is not available in OneDrive. 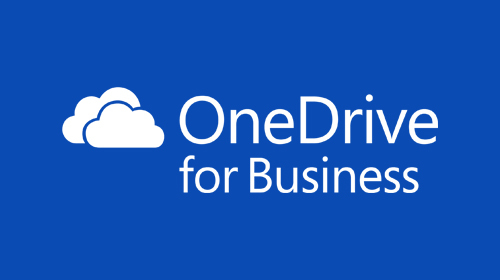 How do you get OneDrive for Business? When you subscribe to SharePoint Online, you get OneDrive for Business. Along with that each user gets 1 TB of storage space. So any plan of Office 365 which has SharePoint, will have One Drive for Business. You can also get OneDrive for Business standalone @ Rs.150 per Month. 3. If you have subscribed to Office service of Office365, you will be assigned 1 TB of Cloud Storage. FREE Trial for 25 user licenses Microsoft Office365 Enterprise. You also get an app for offline access to your OneDrive for Business folder. So whether you are in office or outside, you are actually working on files available on the hard disk of your local PC. This gives you great speed as you work on files which are locally available and NOT on the Internet nor on your SharePoint site. The Best part is that this App is available across various devices thus making cross platform work on documents a reality. The App is available for Windows PC, Windows Phone, iPad, iPhone. If you go to outstation and you do not have access to Internet continuously, you need not stop your work. You would continue to work. And as soon as the PC senses Internet connection, it will automatically sync the changes to your SharePoint. And it will only sync the delta changes, making it extremely fast. If your Office Internet has slowed down for any reason, you don’t have to slow down as you are working locally on your PC. All your edits will get auto synced with your SharePoint Online depending on the speed of your Internet. But that does not affect your work as you continue to work with the locally available SharePoint files. This also is a great way to have an offline backup of your SharePoint data. You can transfer your “My Documents” to OneDrive for Business and this will enable you to have Online, up to the minute Cloud backup. While travelling, if you have your iPad with Office for iPad activated, then you can work on Office files like Word, Excel, PowerPoint as long as you have Internet access. And the edits you do get synced in real time to SharePoint. You can share documents within your Company and even outside your Company the outsiders need not have SharePoint account. Hopefully we have been able to explain to you what is OneDrive for Business. It’s an awesome technology once you start using it. This one piece of Technology can improve your productivity by leaps and bounds. Seriously!